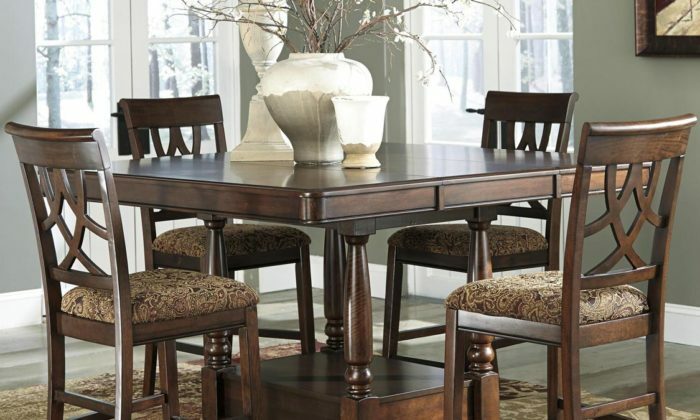 Drawing from the basic form of the Arts & Crafts movement and subtly adding modern lines, casual dining will never look the same in your home with the addition of the Diamond Collection. 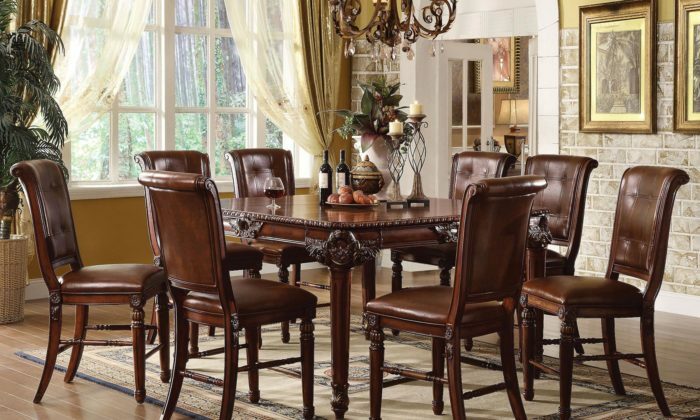 A rich walnut finish highlights the walnut veneer on this substantially sized table. 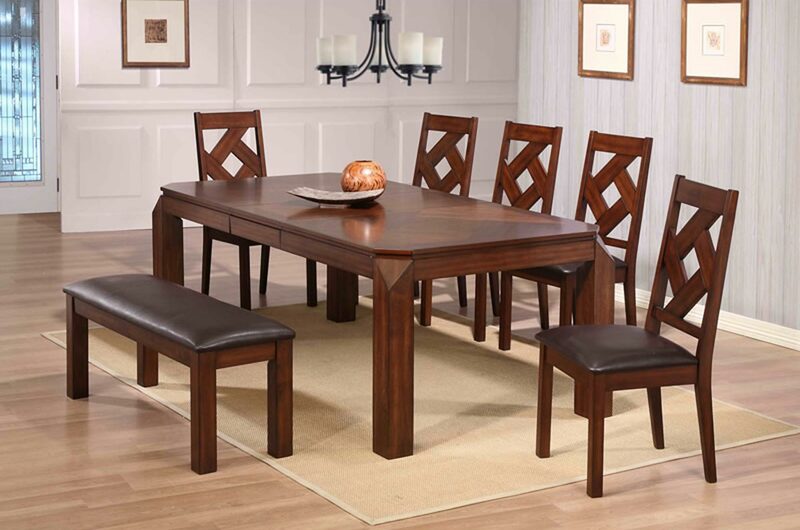 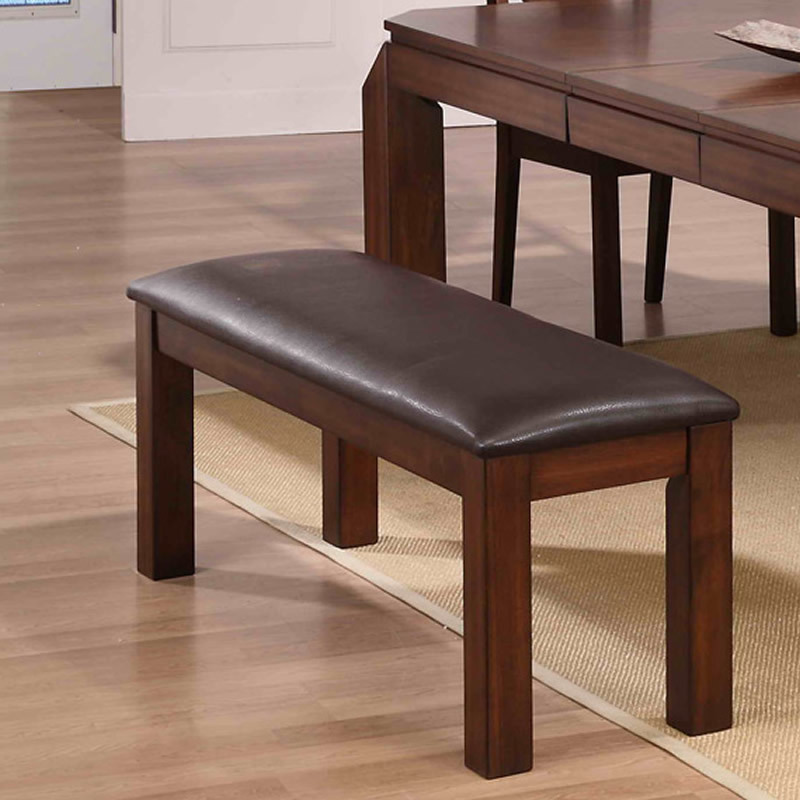 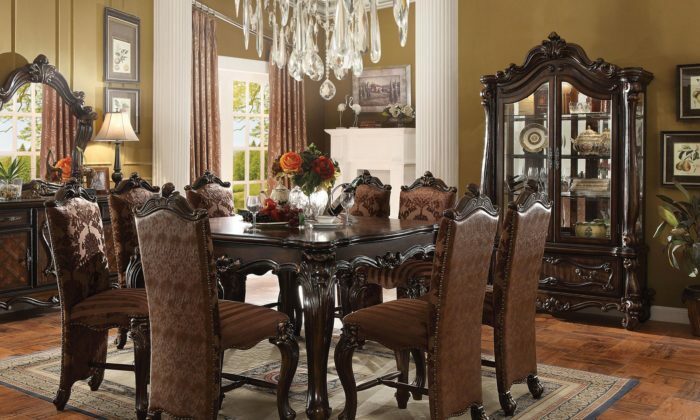 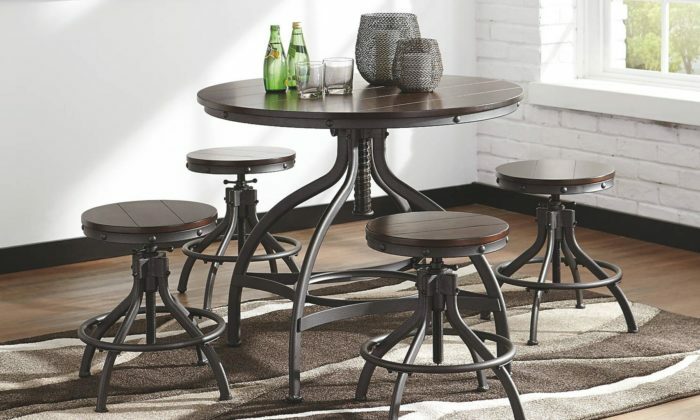 “Diamond” back chairs feature a dark brown bi-cast vinyl seat that compliments the table.